Luxembourg is one of the minor nations in HOI4. Starting off with only one province, it is one of tiniest nations in the game. It has very little in terms of resources, manpower or industrial power. Luxembourg is of little concern to the great powers. Its position between France, Belgium and Germany means that it is part of the slightly more important Benelux Region. It has very little significance in the greater schemes of the great powers, and thus usually ends up as a footnote in history. Should a war break out between Germany and France, Luxembourg probably will be invaded because, like Belgium, it allows bypassing the heavily fortified French-German border. It's unlikely it would offer any major resistance. In line with the Netherlands, their senior personal union partner at the time, Luxembourg became a democracy in the 1840s. Luxembourg does not have any national spirits. Being a democratic country, Luxembourg has a positive relationship with other Democratic countries (+20) and a slight negative relationship with everyone else (-10). It lacks colonies of any kind and does not hold any puppets at the start. Luxembourg does not have claims or cores on foreign soil. 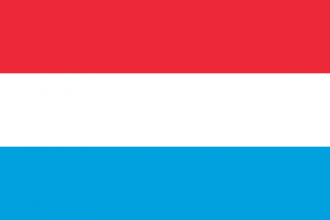 Luxembourg starts 1936 as a democracy with elections every four years, the next being in 1937. The ruling party is the Rietspartei led by Joseph Bech. Luxembourg starts out with little industrial capacity and no room for expansion. It also has access to a small amount of Steel. Luxembourg has, contrary to other countries in Europe and North America, only 2 research slots. As a minor country, Luxembourg has the generic national focus tree. Luxembourg is completely pacified in 1936 and has no military at all. There is little hope for Luxembourg to survive in the face of her powerful neighbors: the German Reich, in particular, almost always uses a focus to declare war on the BeNeLux to go around the Maginot line. Nevertheless, Luxembourg can greatly extend her existence by construcing land forts on its only province since day one. These forts, protected from being encircled and cut off from the capital, will end up more useful than the entire Maginot Line. Entrench as deep as possible, add a few artillery batallions, expand your army to no more than wide enough for the entire border (240), and try to cause as much casuality to your enemies as possible. This page was last edited on 29 September 2018, at 19:12.